Performing widely in the UK and Italy for nearly three decades, the Lochrian String Quartet has received much acclaim for its rich sound and sensitive music-making. 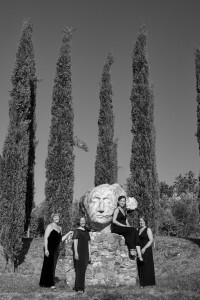 Regular guests at St George’s Bristol, the Potentino Music Festival and the Morellino International Classical Music Festival in Tuscany, the quartet are known for their eclectic performances and wide-ranging collaborations, particularly their work with contemporary composers and championing of new music. The quartet frequently appear on television, often performing on BBC’s ‘Songs of Praise’, as well as recording for film and in cross-genre collaborations with other artists. Their collaboration with Cuban band Asere, ‘Destinos’, was described by Time Out as ‘An album that will blow you away’. The Lochrian String Quartet’s passion for new music has led to extensive work with composer Mark Springer, recording his complete chamber works to date. They have also collaborated with English composer Colin Bayliss in the production of a double CD of his complete string quartets: the last quartet in the collection, ‘in Locrian mode’ was dedicated to them. 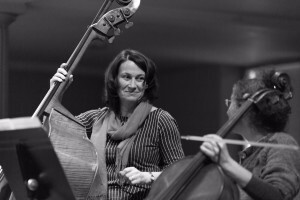 Recent performances have included concerts with legendary Russian Theremin player Lydia Kavina; the world premiere of Mark Springer’s Wine Quintet at the London Sketch Club; and recitals at the Potentino Music Festival, Morellino International Clasical Music Festival, St George’s Bristol, and the Clifton International Music Festival. Current and future projects include collaborations with story teller Michael Loader from Wild Words and Emelia Nurminen, associate dancer with Ballet Cymru and TapAttack, concerts at the Bristol Filmic Festival, and the quartet’s own recital series. 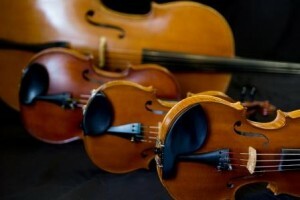 The Lochrian String Quartet also forms the core of its own chamber orchestra, the Lochrian Ensemble. 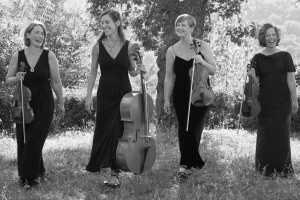 The Lochrian Ensemble brings together a larger group of excellent musicians to form a flexible professional ensemble of any size from quintet to chamber orchestra. 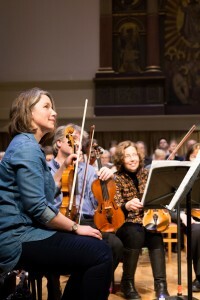 With a reputation for ‘sensitivity and musicality’ (David Ogden, conductor, City of Bristol Choir) the ensemble are recognised as leading accompanists of choral music and opera, and their performances have received high critical acclaim. 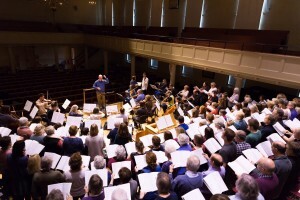 The ensemble regularly performs with groups including Lucis Choir, the Bristol Lord Mayor’s Chapel Choir, the Exultate Singers, the Somerset Singers and the City of Bristol Choir. 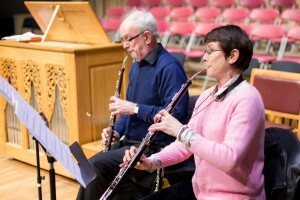 Frequent visitors to St George’s Bristol, St Cuthbert’s Wells and the Bristol Hippodrome, the ensemble is noted for its passionate an committed musicianship. 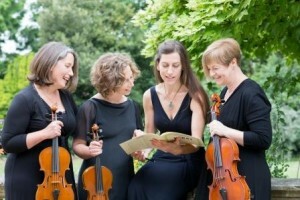 The Lochrian String Quartet is highly committed to its several successful education programmes. ‘the enthusiasm and professionalism of Ali and her team has been fantastic and it has helped my daughter grow in confidence. 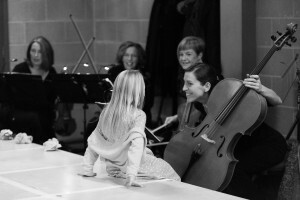 It is wonderful to see quite a shy child sing with a smile on her face in front of so many people’. The Lochrian String Quartet is passionate about education and dedicated to encouraging and engaging young people in music. 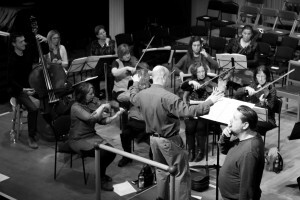 Members have a wealth of qualifications and many years’ experience teaching, coaching and collaborating with students in order to pass on their love of music making to the next generation. 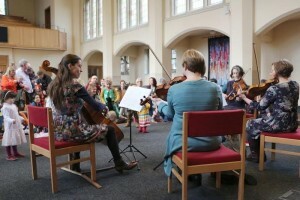 Members of the String Quartet run a thriving youth music programme in two schools in North Somerset. 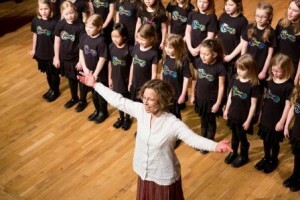 This programme involves over 80 children singing every week in three different choirs. 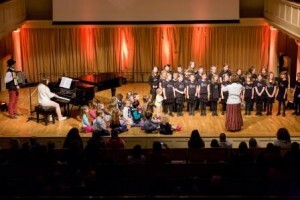 The children have many different opportunities and some particularly memorable events have included recent performances at Young Voices in the Genting Arena, Birmingham and the Colston Hall, Bristol. 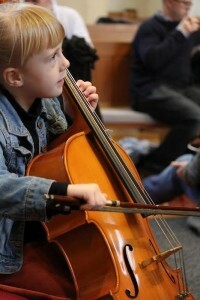 As part of the youth project, children are given the opportunity to engage with extracurricular musical activities. Over the years the Quartet have organised gamelan, steel pan, salsa, chime bar, African percussion, Taikodrumming and song writing workshops. 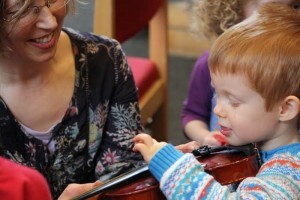 More recently, the Lochrian String Quartet has been expanding its educational programme. Events have included a collaboration with Backwell School in their production of Dido and Aeneas, and Lilliput concerts with A New Year theme in both Bristol and Cheltenham. Current projects include their first touring family show, The Nutcracker, featuring storyteller Michael Loader from Wild Words and associate dancer with Ballet Cymru and TapAttack Emelia Nurminen.